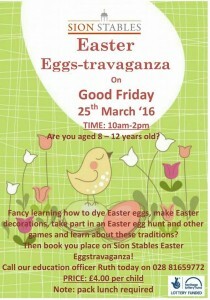 To mark the start of the easter celebrations, Sion Stables are hosting a day filled with activities for children aged 8-12 years old from 10am until 2pm. 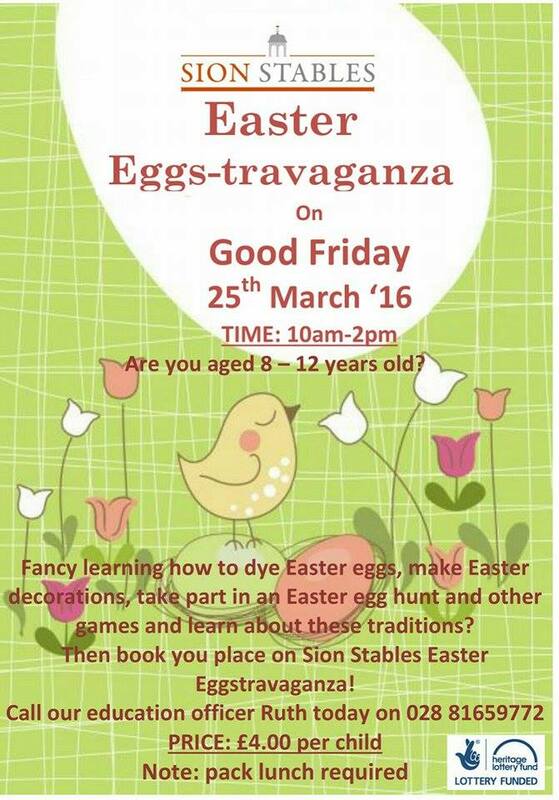 your children can try their hand at dying eggs, an egg and spoon race, Easter egg hunt with a host of other fun activities to fill their Good Friday. If you are interested in your child attending, please call our education and outreach officer Ruth to book their place. PLEASE NOTE: Spaces are limited and pack lunch is required.